BEIRUT: Former Prime Minister Saad Hariri praised the statement of Eastern church leaders Thursday, urging the Arab League to cooperate with the international community to end the exodus of Christians from Iraq. 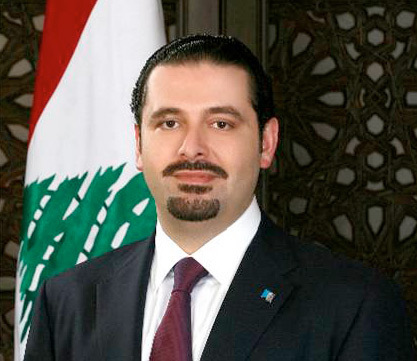 “Eastern patriarchs meeting in Diman have issued a call that should reach all Arab and Islamic leaders and regimes and move the international community, which is ignoring fires in the East and leaving its people and its civilized experience of coexistence prey to the storms of terrorism,” Hariri said. He called on the Arab League to assume its responsibilities and come up with swift mechanisms to cooperate with the international community to end the ongoing crimes in Iraq. The heads of Eastern churches expressed outrage earlier Thursday over the displacement of Christians in north Iraq and appealed to the international community, Arab and Islamic states in particular, to take swift action to stop the jihadist onslaught. The patriarchs’ call came at the close of a meeting in Diman in north Lebanon, overshadowed by news of a fresh exodus of Iraqi Christians fleeing attacks by the Islamic State of Iraq and Greater Syria (ISIS). “Christians in countries of the Middle East are suffering from harsh persecution, being kicked out from their homes and lands by takfiri extremists amid total international silence,” they said in a statement. “We call on all Islamic religious authorities, Sunni and Shiite, to issue clear fatwas forbidding assaults on Christians and other innocent people and their properties,” it added. They also called on states that are financing takfiri groups in Iraq and Syria to stop their support immediately, cautioning that terrorism posed a danger to the region and the world. The clergy bemoaned the raging 3-year-old Syrian conflict, calling for a political solution that would allow Syrian refugees to return home. They also expressed solidarity with the Lebanese Army in its battle against militants from Syria. They condemned Israel’s military onslaught on Gaza, which they blasted as a “crime against humanity,” and called on Israel to lift its siege on the coastal territory. 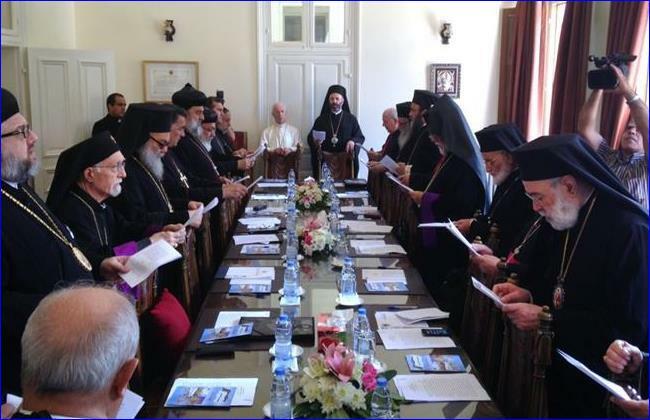 The meeting was chaired by Maronite Patriarch Beshara Rai and attended by Ignatius Aphrem II, patriarch of the Syriac Orthodox Church; Nerses Bedros XIX, patriarch of the Armenian Catholic Church; Gregory III Laham, patriarch of the Church of Antioch; Ignatius III Younan, patriarch of Antioch and all the East for the Syriac Catholic Church; Catholicos Aram I Kechichian of the Armenian Orthodox Church; and John X, patriarch of Antioch and all the East for the Roman Orthodox Church.